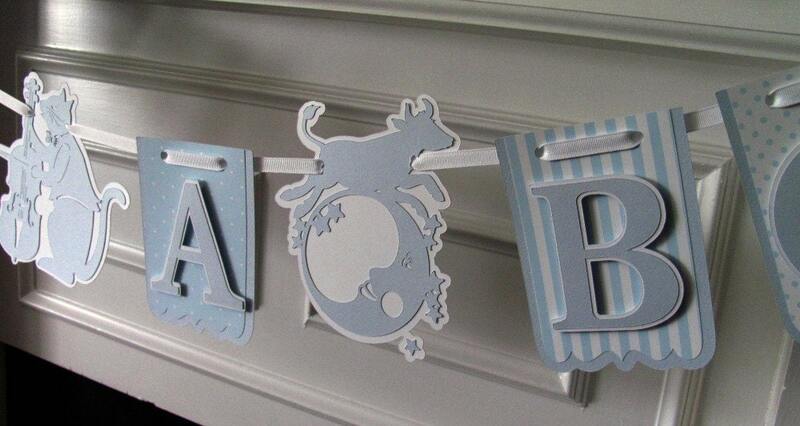 Nursery Rhyme Hey Diddle Diddle It's A Boy shower banner. 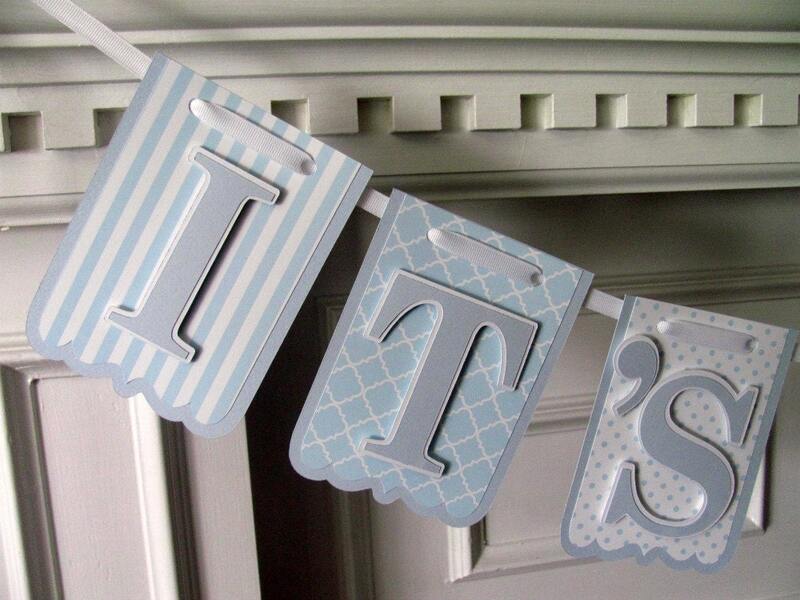 This cute baby blue and white banner will make a great accent piece for your baby shower or a great addition to the nursery. Banner features the Cat & the Fiddle and the Cow Jumps Over the Moon as word separators. 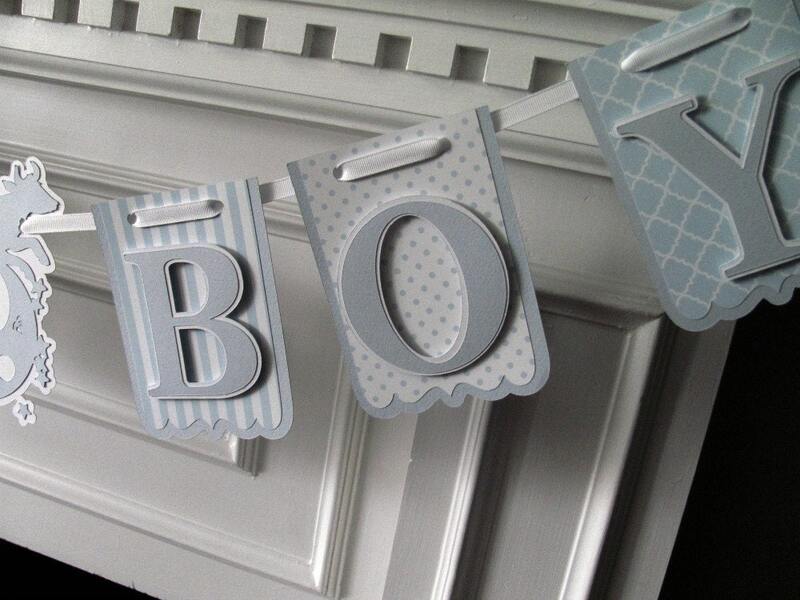 Panels are 2 layers of quality cardstock- printed paper and shadowed with baby blue cardstock. Panels measure 4" wide and 6" in height. Nice banner. Excited to show it off at my daughter's baby shower! I received my banner and I love it!!! This is very nice. Beautifully done and a great keepsake. Work is very professional looking. Thanks!